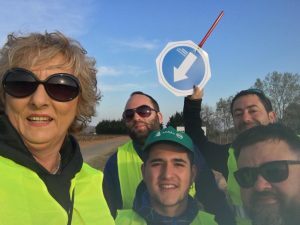 VII SOLIDARITY MARCH BTT CARLOS COLOMA SOLIDARITY OBJECTIVE ACHIEVED! One more year, and they go 7, We celebrate this sport and solidarity party. 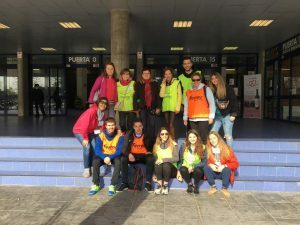 he 31 of March to 9 Morning departure to Marcha BTT Carlos Coloma with Cooperates was given from the Palacio de los Deportes in Logroño, where all morning enjoy animation, music and children's gymkhana. Carlos Coloma displayed their simptía with dozens of fans who came and photos made with him. He shared with them the paths and landscapes that you train diario.La route was supported by three aid stations and a final banquet to which all participants enjoyed and family and friends. Long March has 68 km. and a cumulative drop of 1.100 m. (Logroño-Navarrete-Nalda-Albelda-Logroño) medium-high difficulty. approximately: 4h 35 m.
Around 550 enrolled have had this year. 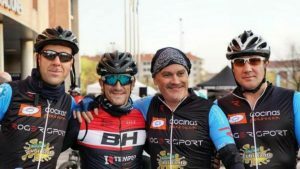 A record of participation that makes the BTT Carlos Coloma with Cooperates one imrprescindible commitment to the sports calendar. Of these registered more than half come from outside the Rioja, especially Basque Country, Navarra and Burgos. Many of them repeat delighted. Team Premiere Cooperates in BTT 31 March with Carlos Coloma! and Victor Manero. Congratulations champions! Now to the Bike Race Rioja! Each entry is assigned to a back test. These numbers will be delivered during the week prior to the test at the Palacio de los Deportes: the days 26 Y 28 (marates and Thursday) From 18 a 20 h. They can also be picked up the day of the test, he 31 of March, starting at 8 h. in the Palacio de los Deportes. To pick is essential to provide identification or proof of registration (wherein the assigned bib number appears). *The deadline for claims gift is three months from the date of the drawing in info@cooperaong.org and the t. 941237655. Younger CHILDREN enjoyed the GYMKHANA, next to the Palacio de los Deportes, with fun tests to be overcome by our volunteers. Ecuador. This year we will work 260 women entrepreneurs in the area of ​​Manabi in Ecuador. A place where the consequences of the terrible earthquake that lived in still persist 2016 and where these women receive the training and support needed to commence selling crafts projects. We have achieved our goal of 5.000 € for help. Without them this would not be possible solidarity and sporting adventure. SPONSORS: Carrefour, Rioja Sports Foundation, Government of La Rioja, Municipality of Albelda. contributors: Navarrete Town Hall, Municipality of Albelda, Lucia Damoc massage, natural Vega, Viña Bujanda, Balcon de Mateo, Coca Cola, Red Cross, Mercedes-Benz Auto Oja, Parry Food Track, Juanjo Alcoz Physiotherapy, SPORTS FERRER, Riojana Cycling Federation, Working box, Tanis, Diario La Rioja, Mercedes Spa and Modern Cinema. Without our volunteers would not be possible this activity. Around a 60 people were at different checkpoints test, at the aid stations and the Palais des Sports always aware of everything and with a smile. Thank you very much! 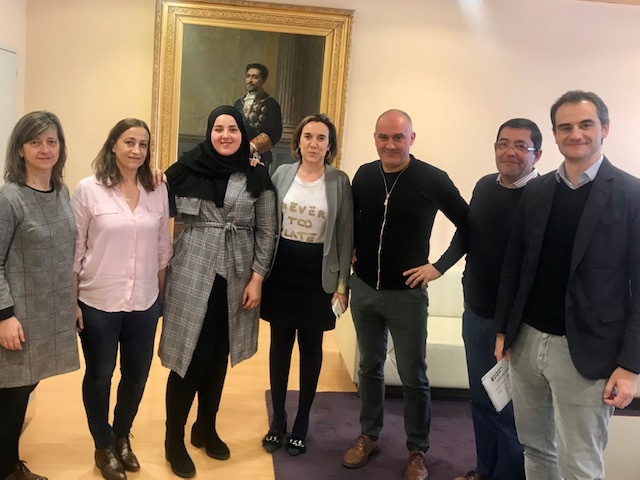 Logroño, 5 March 2019.- The Mayor of Logroño, Cuca Gamarra, He has received the representation of the NGO Coopera on the occasion of the celebration of its twenty-fifth anniversary. 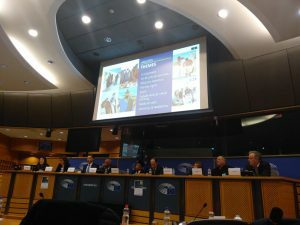 At the meeting, Cooperates submitted a summary of the work done, our future challenges and the program of events planned to commemorate this anniversary, that happen along the 2019 and culmirán in October, date on which it was officially constituted Cooperates See here for planned events 25 Anniversary. Specifically the streets of the city of Logroño will be our next stage of work, a special exhibition to commemorate the 25 '25 years anniversary, 25 images'. An original and impactful work different parts of the city that will surprise and visitors logroñeses. We want to share images of our projects and engage in this society we were born. Cooperates headquarters ONGD is located in the city of Logroño and in recent years has expanded its network Cooperates work by opening offices or branches in the Basque Country, Navarre, Madrid and Barcelona, internationally, en Senegal, R.D. del Congo, Ecuador and Tunisia. in the field of international cooperation, He has worked and continues to work in several countries in Africa and especially South America, always promote education as a tool of progress and women as an engine of change. In fact, most of our beneficiaries are children and women. Cooperates director, David Chimeno, stressed that the 60 percent Cooperates work focuses on Africa, because it is the most complicated continent and needs more support today. Among the initiatives undertaken at this stage Chimeno has highlighted the comprehensive assistance program aimed at girls and women victims of sexual violence in R.D. del Congo, and the proposed intervention with adolescents at risk of radicalization on the border between Tunisia and Algeria, an area and an area in which no work other cooperation entities. Chimeno also stressed that, Since its inception, He cooperates opted for educational projects and then has expanded its scope with social projects and awareness aimed at society riojana. As&iacute;, In 2013, Cooperates entered the branch of social projects aimed Rioja partnership with a training program for unemployed women that takes place throughout the years Logroño La Rioja and other locations. In La Rioja and Spain Cooperates works primarily social awareness and education for development. Our exhibitions cycle Watch and Think rooms have traveled all La Rioja and much of Spain, especially the Basque Country and Navarra, and Portugal. The success of this activity lies in the way they transmit through an innovative staging of each job. Moreover, each to CHILD, young riojanos, Spanish and other 13 nationalities participate in our flagship project, The Study Solidarity Olympics, youth awareness activity that was born in 2002 in the city of Logroño and today is an international project supported by UNESCO. In these 16 a&ntilde;os, the Olympics has become a genuine solidarity revolution that transcends borders. In the last edition, plus 45.000 j & oacute; YOUNG AND 400 study centers 13 countries have joined this project riojano awareness stamp, which leads from the office Cooperates in Logroño. 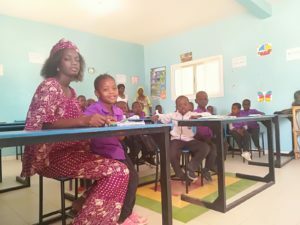 Finally, in the field of international volunteering, Cooperates has facilitated young people and families with their teens to participate in volunteer programs in Africa and South America, especially in the Solidarity Family Camp organized every summer in Senegal. Rioja was founded NGO Coopera ago 25 years, as an association without political or religious link- by a group of university students and young professionals determined to change the world with their innovative ideas. In these 25 years there have been many projects and work done, but 'we would never have come this far without the support of our partners, SPONSORS, counterparts, collaborators and especially without the help of all the volunteers who support us in solidarity activities we organize’ Chiemno he stressed. One more year, and they go 7, We are preparing everything for this sport and solidarity party. 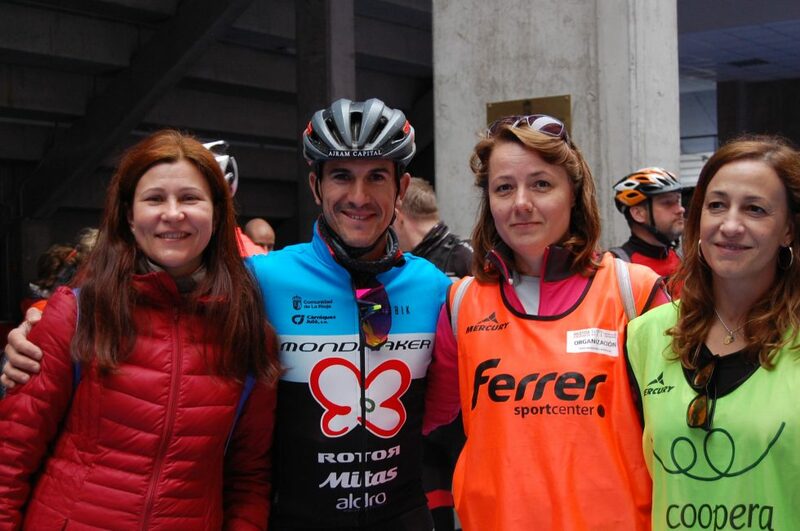 he 31 of March to 9 Morning departure will Marcha BTT Carlos Coloma with Cooperates from Palacio de los Deportes in Logroño, where throughout the morning there will be animation, music and children's gymkhana. We share this day with Carlos Coloma, who he is at his best sporting moment. The marchers will run alongside and share the trails and landscapes that he trains daily. Addition of these tours are what make the Bike Race in La Rioja to be held in May. This year there are new. New areas on both routes with more sections of paths and a new dramatic drop in the long run. Long March has 68 km. and a cumulative drop of 1.100 m.
The short march has 42 km. and accumulated a denivel of 600 m.
You can download the tracks (visible from Google Earth) GPX from the registration page. You can sign up easily on this link Rockthesport. Until the day 15 Marzol the price of registration is 15 € for federated and 17 € for non-federated (Of the 16 al 31 March the price is 5 € more). If you can not participate in our Marcha BTT and want to collaborate You can register for the Dorsal 0 with input you want. Any help is important! Ecuador. This year we will work 260 women entrepreneurs in the area of ​​Manabi in Ecuador. A place where the consequences of the terrible earthquake that lived in still persist 2016 and where these women receive the training and support needed to commence selling crafts projects. Our objective is to get the Marcha BTT 5.000 € for help. contributors: Navarrete Town Hall, Municipality of Albelda, Lucia Damoc massage, natural Vega, Viña Bujanda, Balcon de Mateo, Coca Cola, Red Cross, Mercedes-Benz Auto Oja, Parry Food Track, Juanjo Alcoz Physiotherapy, SPORTS FERRER, Riojana Cycling Federation, Working box, Tanis, Diario La Rioja, Mercedes Spa. Brussels. 31 of January of 2019. 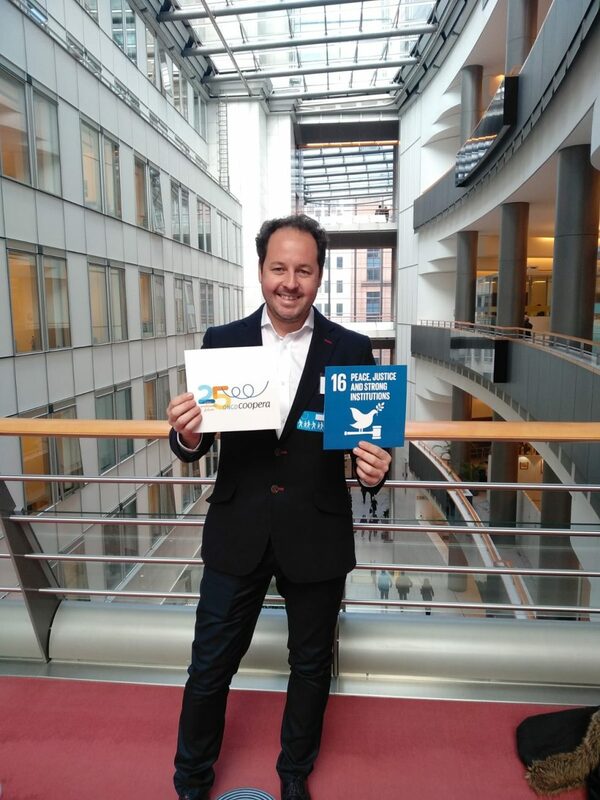 Cooperates ONGD, represented by our expatriate in Tunisia, Pablo Rodriguez, He has participated in the European Parliament at a meeting on innovative approaches to prevent and combat violent extremism in North Africa. We have welcomed the professionalism and project management we have developed in Tunisia, especially the evaluation part, monitoring and quality reports. A day of pride and opportunity to thank everyone Cooperates team – Pablo Rodriguez and Sonia Lopez- that in some way or another they have helped to take forward the project of cultural caravan in Tunisia, to articulate the tools to fight for a decent future for young people in Tunisia and build peace and development opportunities. 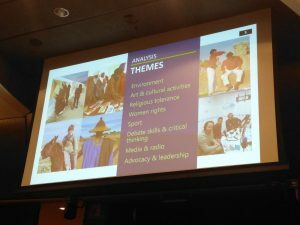 Cooperates started in Tunisia with the project 'Cultural Caravan in Le-Kef and Kasserine ', co-financed by the European Union and UNICRI. It consisted of the operation of a mobile multidisciplinary cultural center to facilitate training and participation of young people in the area of ​​action. It is a project designed to suit young people in this area hard hit by unemployment and a social and political context very complicated. To date he has had as beneficiaries 1.600 young people between 14 Y 30 a&ntilde;os. registration of schools for 'Get up and Goals' begins. Get up and Goals! It is a new project developed by Cooperates with funding from the European Commission DEAR program. 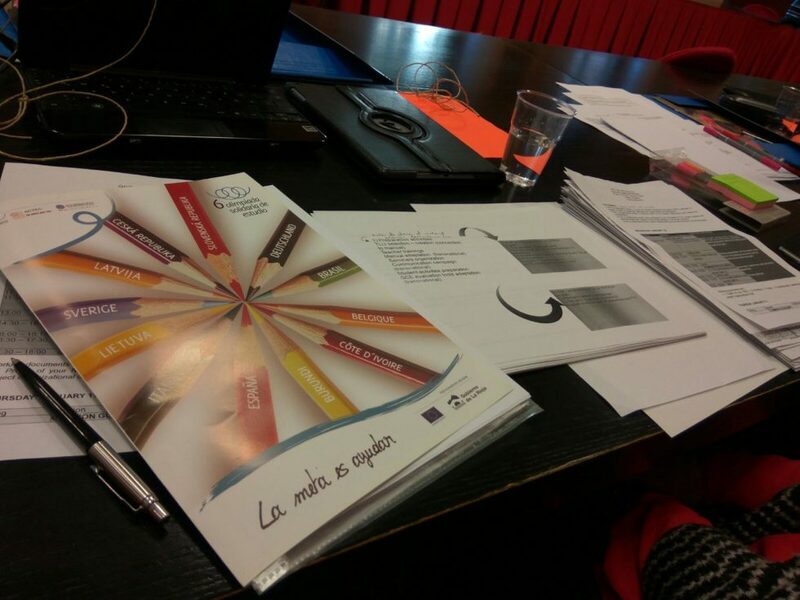 This is a transnational cooperation 12 European countries which aims to build a network of international centers. Participating centers in their programs introduce new pedagogical approaches to promote global citizenship among students and contribute to the achievement of the Sustainable Development Goals (ODS) marked by Agenda 2030 of the United Nations. For that, COOPERA looking for a small number of establishments involved in the initial phase of the project and can act as direct recipients of their activities and educational materials created while benefiting from funding provided by the European Commission through the project. For more information and registration Click here. The deadline to request annexation to the project is 20/12/2018. VI MARCH BTT CON CARLOS COLOMA COOPERA. 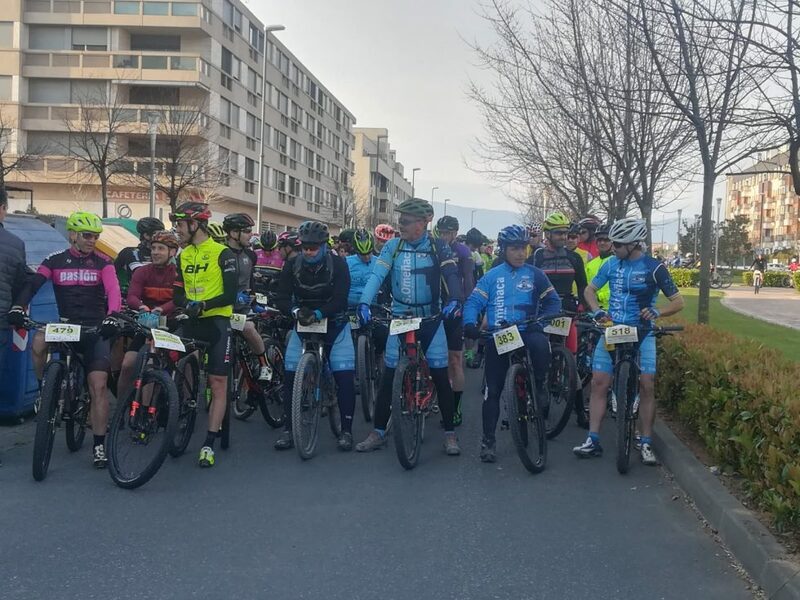 The last Sunday 29 April gather more than 450 Bike along our champion Carlos Coloma. We enjoyed a fun and solidarity day. With the VI Marcha BTT Carlos Coloma with Cooperates we have achieved our goal of solidarity: 5.000 € for the expansion of the school Arc en Ciel Senegal. More information about this project clicking on this link. This is the draw, If you are among the winners, Congratulations. Since the organization, we will contact them to inform them of their prize. *The application deadline gifts is three months from the date of the draw. click here You will find all photos of the day. This event would not have been possible without the sponsorship: Ramondin, Government of La Rioja, Rioja Sports Foundation, Municipality of Albelda, Nalda City Council and City of Alberite and the collaboration: Navarrete Town Hall , Working box, Bodega Viña Bujanda, Hotel Gran Vía Logroño, Moobilemanía, Peñaclara, Spa Mercedes, Riojana Cycling Federation, Riojana Federation Motociciclismo, Peñaclara, natural Vega, Roller Bike, Auto-Oja, Balcon de Mateo, Red Cross, Diario La Rioja, Tanis, Parry, Coca Cola, LUCÍA Damoc, Passion and Diario La Rioja Ciclista. 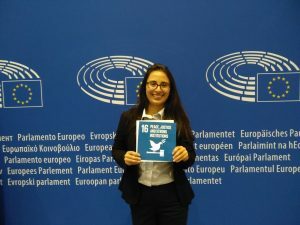 January 2018.- Cooperates ONGD has been implicated in a new awareness project called 'Get up and Goals’ that work to promote Global citizenship (model of citizenship actively engaged in achieving a more equitable and sustainable world) and knowledge of Sustainable Development Goals among European youth, within the formal education system.Cooperates ONGD will coordinate the project in our country. ‘Get up and goals’ is Una transnational initiative that involved other 11 European countries. It seeks to achieve its objectives by implementing an interactive learning focused on achieving the Sustainable Development Goals (ODS) adopted 2015 UN to eradicate poverty, protect the planet and ensure prosperity for its people as part of a new agenda for sustainable development. To carry out the project, They create different teaching units, Cooperates ue educational materials take place during the project and together with all partners of the same, and youth initiatives and promote training courses for teachers, among other initiatives, over three years. The project started in late 2017. 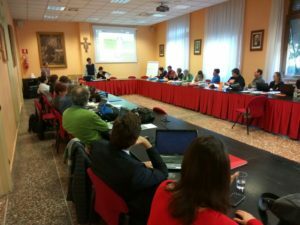 Recently, Coopera two people have traveled to Rome to attend the inaugural meeting of the project with the other European partner countries. CONPARTE. The solidarity rioja wine. The present CONPART, solidarity came from Bodegas Viña Bujanda and Coopera ONGD. And not, there is a typo, CONPART is written with N because “with part” each bottle is helping many people. This red parenting goes on sale for a price of 6,95 € (VAT included), of those who 1,80 € are allocated to cooperation projects of the NGO Coopera. This is a wine to share, enjoy and help. A safe bet that you'll always hit. A wine with denomination origin breeding Rioja, aged 12 months in oak barrels, true reflection of the land and vineyards of the wineries Martínez Bujanda family, vintners from 1889. Some names attached to the best wines and know-how of our land forever. You will get it quickly in your home or at the address you choose and you enjoy it and share helping people. It is also a heartfelt gift for Christmas. *Shipping is free from the 65 € Purchase. CONPARTE It has a special label, It is a heart that reminds the Cooperates own logo. A heart made up of two people hugging and sharing a unique moment. It is the spirit we want to convey with our wine. Everyone can help, and make each moment a unique moment. CONPART It has this power and helps people of our projects in Senegal, Sierra Leona, R. D. del Congo, Ukraine and Ecuador. You MARK YOU YOUR FUTURE. Cooperates and La Caixa Social Work together for training unemployed women. Cooperates ONGD has enjoyed the sponsorship of the Social Work of La Caixa for the development of your project marks your future. This initiative has been developed over 2017 riojanas in five locations, reaching a total of 83 women who have improved their personal skills in areas such as self-esteem or time management. This is a project that Cooperates has been developing for five years and this time they wanted to take up rural areas. For it has enjoyed the cooperation of municipalities and their social services. Locations where courses have been developed have been Navarrete, Rincón de Soto, Santo Domingo, Murillo and Albelda. The training consisted of 28 teaching hours were given in 6 sessions. It has received infrastructure and material donated by the councils themselves support and the project has been developed in collaboration with people who are part of social services in these localities. Through workers and social workers have contacted women and formed groups. Training has been carried out by E-I mocionado, Riojan cluster dedicated to emotional intelligence and experienced in teaching. The courses have been developed between February and October with a positive balance. The assessment at the end of the course indicates that it has been a very positive experience for all women, who demand more attention and activities in their respective localities. All participants have received at the end of the course a certificate of participation in it. Cooperates with these training projects aims to contribute to improving the situation of many women in our environment. Getting a job is a social and cultural expectation acquired since childhood and reinforced at school and the nearby environment. Unemployment and insecurity cause a devaluation against the other, especially the family and create contacts break with the social environment and labor. In this link you can see the video you mark your future that sums up the spirit of this initiative.